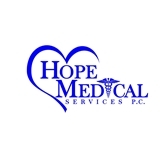 Hope Medical Services PC (Middle Village) - Book Appointment Online! Dr.Husain was very friendly and caring! Glad they had quick scheduling!